When Lush release a new range of products there always seems to be one item that is ridiculously hard to get hold of. For me from this years Valentine’s Day range it was the Kiss Me Quick wash card. For some reason every single store that I went into this product was out of stock and I couldn’t even grab myself one online. Luckily for me I have some amazing friends who came to my rescue and picked me one up from their local stores. When I finally got hold of one of the Kiss Me Quick was cards I was not disappointed at all. I was also extremely excited to find that the product featured one of my all time favourite scents, the 29 High Street scent. I find explaining this scent is actually really difficult to do, but how Lush describe the scent is probably the best way of explaining it. Lush say that this scent is like walking into a lush store, its that wonderful mixture of all the products together. But in my own words I would say it’s a very sweet, floral, slightly sherberty with a hint of fruitiness. It really is lovely and one you really need to try for yourself. 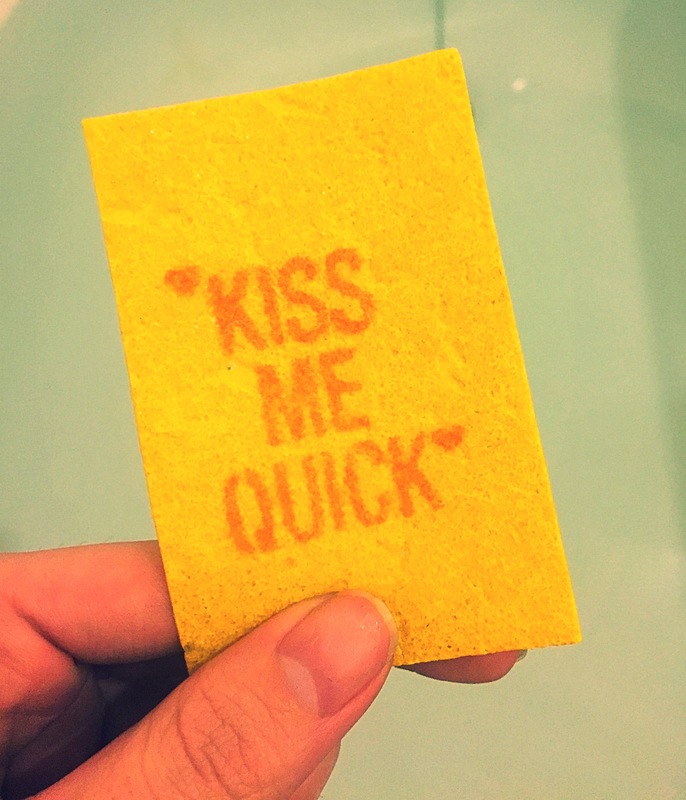 The Kiss Me Quick wash card is very small, it’s about the size of a business card and in fact it’s proper title is a business wash card. This products does only cost £2.00 and as you only have to use a tiny bit it will last you for quite a long time making it great value for money. Wash cards / sheets are quite a new concept to lush and first showed their face with the opening of the Oxford Street store. Some people would say this product is quite gimmicky. I however find it an incredibly useful product. As I travel a lot for work this product can be a lifesaver for me. This wash sheet idea makes the perfect travel companion as it can be popped in your bag and you don’t have to worry about any leaking. The product can be used as a soap, shower gel or shampoo meaning it can save a lot of space in your bag. The little Kiss Me Quick card could even be popped in your purse or wallet meaning your Never without it. 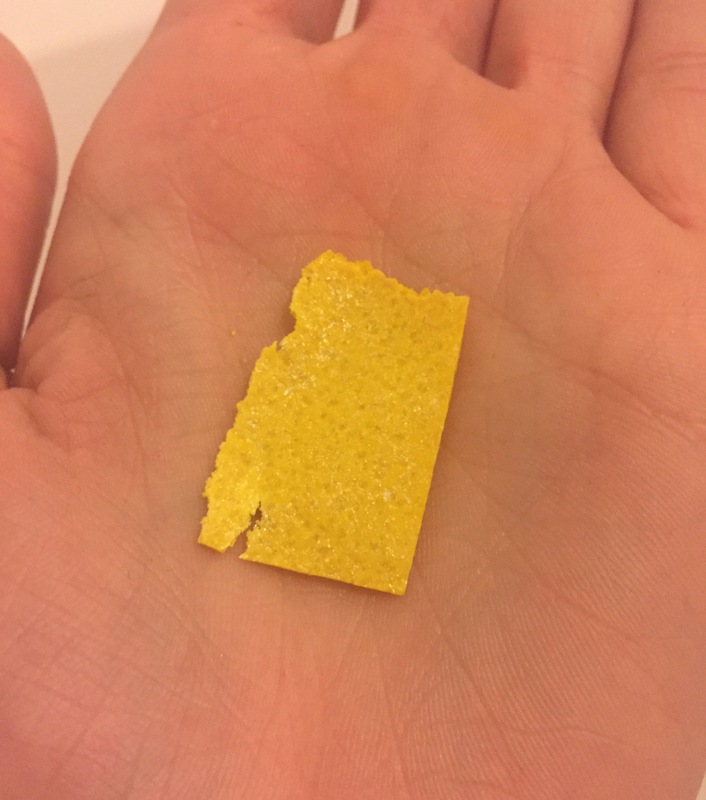 To use this product all you need to do is tear a tiny amount off the card, add a little water to your hands and as you rub your hands together a lather will be produced. A little really does go a long way with this product so don’t use too much. 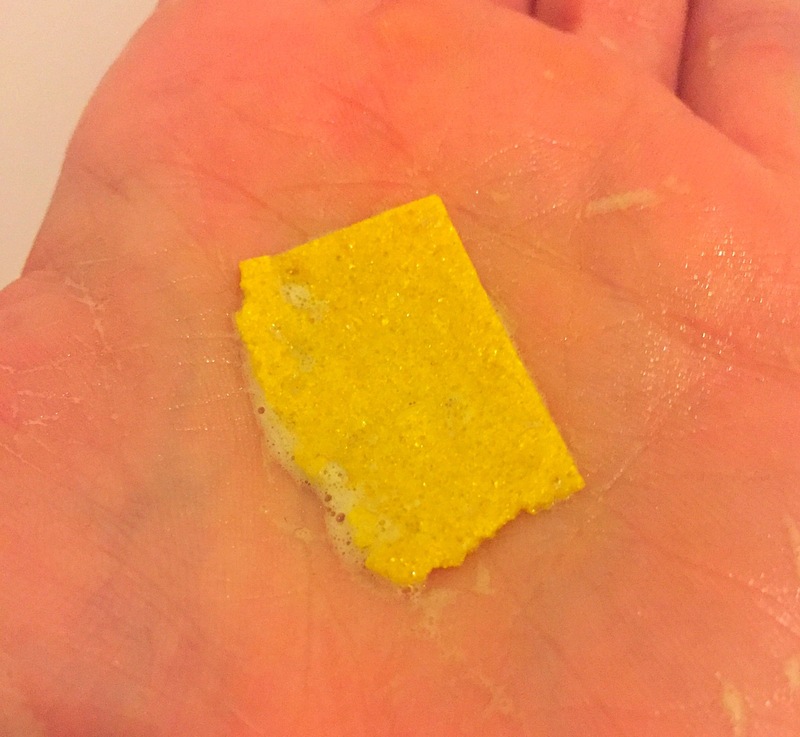 The lather holds its scent very well and I could smell its beautiful scent on my skin for hours. Overall I was very impressed with this product I just wish it had been a little easier to get hold of. Have you managed to get your hands on one ? What did you think? 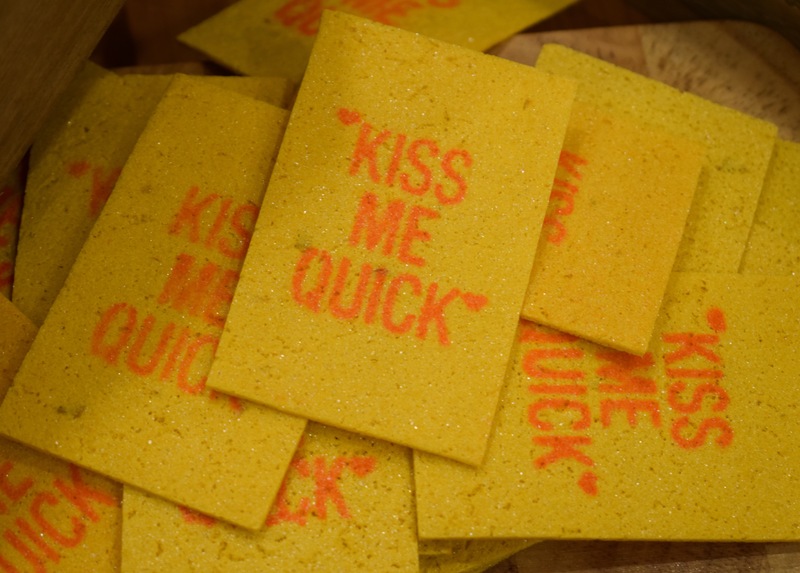 TOP TIP: these little Kiss Me Quick wash cards are great to pop into a Valentine’s Day card or inside a lush gift card.